Saint Clair County (Ill.) --Biography. Saint Clair County (Ill.) --Genealogy. Saint Clair County (Ill.) --History. Saint Clair County (Ill.) --Maps. Portrait and biographical record of St. Clair County, Illinois : containing biographical sketches of prominent and representative citizens together with biographies and portraits of all the presidents of the United States. Chicago : Chapman Bros., 1892. West, Edward William. 1876. History of St. Clair County, Illinois; prepared for the county centennial celebration of American independence, July 4th, 1876. Belleville, Ill. : Advocate Steam Print, 1876. History of St. Clair County, Illinois : with illustrations descriptive of its scenery and biographical sketches of some of its prominent men and pioneers. Evansville, Ind. : Unigraphic, 1975. An illustrated historical atlas of St. Clair Co. Illinois / compiled drawn & published from personal examinations & surveys by Warner & Beers. Evansville, Ind. : Whippoorwill Publications, 1984. W.W. Hixson & Co. PLAT BOOK OF ST. CLAIR COUNTY, ILLINOIS. ROCKFORD, 1930. Hollman, Frank, 1904- Current & historical atlas, St. Clair County, Illinois. Complete geographical, topographical, statistical, informative and educational. Compiled and published by Frank and John Hollman. Belleville, Ill., 1936. St. Clair Title Company. An atlas of St. Clair County, Illinois. Belleville, Ill., c1956. Winnetka Public Library. Genealogy Projects Committee AN INDEX TO THE NAMES OF PERSONS APPEARING IN THE HISTORY OF GALLATIN, SALINE, HAMILTON, FRANKLIN AND WILLIAMSON COUNTIES, ILLINOIS. THOMSON, 1973. W.W. Hixson & Co. PLAT BOOK OF SALINE COUNTY, ILLINOIS. ROCKFORD, 1930. Geo. A. Ogle & Co. Standard atlas of Saline County, Illinois, including a plat book of the villages, cities and townships of the county. Map of the state, United States and world. Patrons directory, reference business directory ... Compiled and published by Geo. A. Ogle & Co. ... Chicago : Geo. A. Ogle & Co., 1908. Bateman, Newton, 1822-1897. Historical encyclopedia of Illinois, ed. by Newton Bateman, LL. D., Paul Selby, A. M., and history of Sangamon County, by special authors and contributors, Paul Selby, ed. … Chicago, Munsell Pub. Co., 1912. Campbell, Bruce Alexander. 200 years : an illustrated Bicentennial history of Sangamon County / by Bruce Alexander Campbell. Springfield, Ill. : Phillips Brothers, c1976.  History of Sangamon County, Illinois : together with sketches of its cities, villages and townships ... portraits of prominent persons, and biographies of representative citizens ; History of Illinois … H̲i̲story and biography, the heritage collection from Unigraphic Evansville, Ind. : Unigraphic, 1977. PORTRAIT AND BIOGRAPHICAL ALBUM OF SANGAMON COUNTY, ILLINOIS, CONTAINING SKETCHES OF PROMINENT CITIZENS CHICAGO, 1891. Power, John Carroll, 1819-1894. History of the early settlers of Sangamon County, Illinois : "centennial record" / by John Carroll Power, assisted by his wife Mrs. S.A. Power. Springfield, Ill. : Edwin A. Wilson & Co., 1876. Brink, McCormick & Co., publishers. Illustrated atlas map of Sangamon County, Ill. … [n.p.] : Brink, McCormick & Co., 1874. Derr Map Studio. Plat book, Sangamon County, Illinois. Rockford, Ill. : Derr Map Studio ; [Springfield] : distributed by Sangamon County Farm Bureau, c1955. Sangamon County Abstract Company, Springfield, Ill. Plat book of Sangamon County, Illinois. Showing all cities, villages and towns, acreage and ownership of all lands not platted ... Compiled directly from the records and published by The Sangamon County Abstract Company, Springfield, Illinois ... Chicago, Ill. : Printed by George F. Cram, 1914. Schuyler County (Ill.) --Genealogy --Indexes. Historical encyclopedia of Illinois / edited by Newton Bateman, Paul Selby. And History of Schuyler County / edited by Howard F. Dyson. Genealogy & local history ; LH6212. Chicago : Munsell Pub. Co., 1908. Biographical review of Cass, Schuyler and Brown Counties, Illinois: Containing biographical sketches of pioneers and leading citizens. Chicago : Biographical Review Publishing Co., 1892. W.R. Brink & Co. Combined history of Schuyler and Brown Counties, Illinois : with illustrations descriptive of their scenery, and biographical sketches of some of their prominent men and pioneers. Philadelphia : W. R. Brink & Co., 1882. Atlas map of Schuyler County, Illinois [cartographic material] / compiled, drawn, and published from personal examinations and surveys. Davenport, Iowa : Andreas, Lyter & Co., 1872. W.W. Hixson & Co. PLAT BOOK OF SCHUYLER COUNTY, ILLINOIS. ROCKFORD, 1926. Geo. A. Ogle & Co., comp. Plat book of Schuyler County, Illinois. Compiled and published by Geo. A. Ogle & Co. ... Eng. by Balliet & Volk .. Chicago : Published by Geo. A. Ogle & Co., 1892. Portrait and biographical album of Morgan and Scott Counties, Ills. : containing full page portraits and biographical sketches of prominent and representative citizens of the county. Andreas, Lyter & Co. Atlas map of Scott County, Illinois [cartographic material] / compiled, drawn, and published from personal examinations and surveys, by Andreas, Lyter, & Co. Davenport, Iowa : Andreas, Lyter, & Co., 1873. Bateman, Newton, 1822-1897. HISTORICAL ENCYCLOPEDIA OF ILLINOIS AND HISTORY OF SHELBY COUNTY CHICAGO, 1910. Combined history of Shelby and Moultrie Counties, Illinois : with illustrations descriptive of their scenery and biographical sketches of some of their prominent men and pioneers. Heritage collection from Unigraphic. Illustrated atlas. Evansville, Ind. : Unigraphic, 1980. Historic sketch and biographical album of Shelby County, Illinois . Shelbyville, Ill. : Wilder, 1900. Middlesworth, Grace H. Listing of persons mentioned in townships of the Shelby County, Illinois, 1910 history, compiled by Grace H. Middlesworth. [Decatur, Ill., Decatur Genealogical Society] 1969. Geo. A. Ogle & Co. Plat book of Shelby County, Illinois. Compiled and published by Geo. A. Ogle & Co. … Chicago : Geo. A. Ogle, pub., 1895. Rockford Map Publishers. Farm plat book and business guide, Shelby County, Illinois / sponsored by the Shelby County Farm Bureau, Shelby County Rural Youth. Rockford, Ill. : Rockford Map Publishers, c1950. Rockford Map Publishers. Plat book with index to owners, Shelby County, Illinois / sponsored by Shelby County 4-H & Junior Fair Association. Rockford, Ill. : Rockford Map Publishers, c1961. History of Stark County, Illinois, and its people : a record of settlement, organization, progress and achievement … Chicago : Pioneer Pub. Co., 1916. The Biographical record of Bureau, Marshall, Putnam and Stark Counties, Illinois. Chicago : S.J. Clarke Pub. Co., 1897. Ford, Henry Allen. The history of Putnam and Marshall counties : embracing an account of the settlement, early progress and formation of Bureau and Stark counties. With an appendix, containing notices of old settlers ... lists of officers ... / by Henry A. Ford. Henry, Ill. : M. & D. Printing Co., 1981. Leeson, M. A. (Michael A.) Documents and biography pertaining to the settlement and progress of Stark County, Illinois : containing an authentic summary of records, documents, historical works and newspapers relating to Indian history, original settlement, organization and politics ... / written from records and personal reminiscences by M. A. Leeson. Chicago : M.A. Leeson, 1887. Shallenberger, Eliza Jane (Hall), b. 1830- Stark county and its pioneers. By Mrs. E. H. Shallenberger. Cambridge, Ill. : B.W. Seaton, printer, 1876. Portrait and biographical album of Stephenson County, Ill.: containing full page portraits and biographical sketches of prominent and representative citizens of the county, together with portraits and biographies of all the governors of Illinois, and of the presidents of the United States. Chicago : Chapman Bros., 1888. The History of Stephenson County, Illinois, containing ... biographical sketches ... war record ... statistics ... portraits of early settlers ... history of the Northwest, history of Illinois, &c. … Chicago : Western Historical Co., 1880. In the foot-prints of the pioneers of Stephenson County, Illinois : a genealogical record. Freeport, Ill. : Pioneer Pub. Co., 1900. Combined 1871 Combination atlas map of Stephenson County, Illinois, 1913 Standard atlas and 1894 Plat book. Geo. A. Ogle & Co. Standard atlas of Stephenson County, Illinois, including a plat book of the villages, cities, and townships of the county. Map of the state, United States, and world… Chicago, 1913. Hutchinson and Nesbit (Cedarville, Ill.) Stephenson County, Illinois, plat book [cartographic material]. Cedarville, c1947. North West Publishing Company, comp. Plat book of Stephenson County, Illinois. Drawn from actual surveys & county records by the North West Publishing Co. [n.p.] : North West Pub. Co., 1894. Walling, Henry Francis, 1825-1888. Map of the County of Stephenson, Illinois [map] / from surveys under the direction of H.F. Walling ; surveyed and drawn by C.T. Dunham ; engraved, printed, colored & mounted at H.F. Wallings map establishment. New York : C.T. Dunham, 1859.